Searching for something exciting to do off campus? 'Gate Night is taking a trip to the New York State Winter Fair. Just when you are missing summer the most, the NYS Winter Fair has all of your favorites: carnival rides, food vendors, live performers, and exhibits! 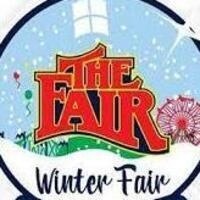 Chase way the winter blues with fun at the fair! Also, be on the look out for our other Spring 2019 trips. We've got a thrilling semester of trips planned! Our itinary includes: Broadway Tour Show: Chicago, RPM Raceway Go-Karts, Laser Tag at Wonderworks, and Broadway Touring Show: Les Miserables! All transportation and tickets are free for Colgate students. Spaces are limited. Once sign ups have closed, we will email you with a simple travel form. To confirm your spot, you must return the form within the deadline. The buses will fill on a first come, first serve basis.